This very old established cocktail, is as traditional as they come! Made by muddling sugar with bitter, then adding whiskey, and finishing with a final twist of citrus rind. 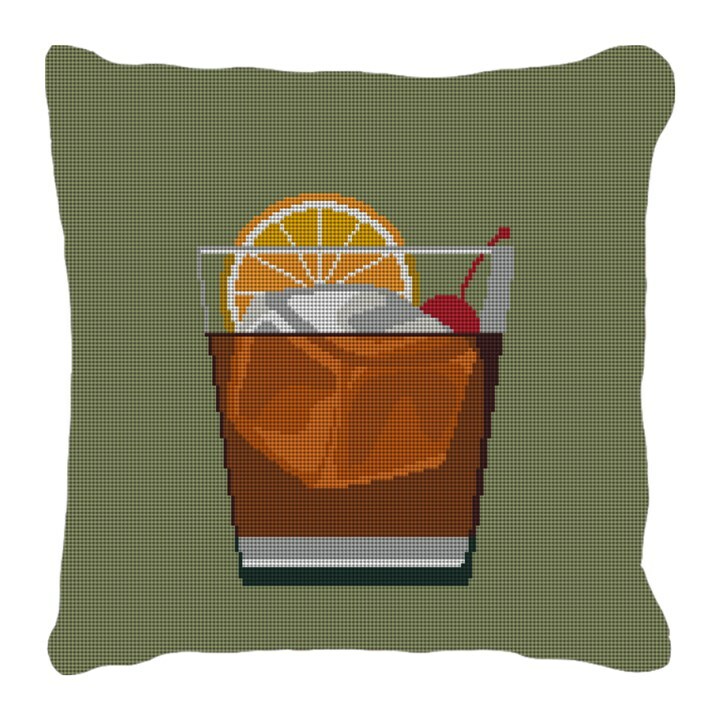 We have designed a needlepoint pillow canvas with this classic cocktail for you to stitch. A fun and clever addition you can make for your living space, featuring an Old Fashioned!